The Quality Hotel® Dorval Aéroport is conveniently located less than two kilometers from Laurentian Lanes. This Montréal, Canada hotel is just five minutes from the Montréal-Pierre Elliott Trudeau International Airport and close to many exciting local attractions. Business travelers will appreciate conveniences like voice mail, multiple line telephones and access to fax, copy and secretarial services. There is an on-site business center, which has a computer with Internet connection. 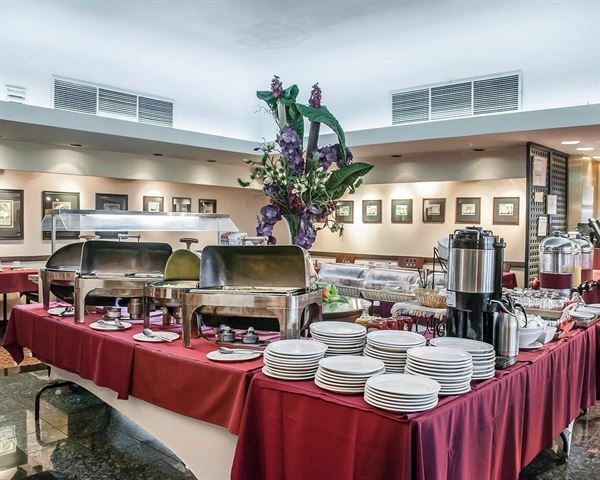 Banquet and meeting rooms are available for most events and business functions.